Did X-Men: Apocalypse Cast EastEnders Star as Angel? /x-men-apocalypse-angel-art-bryan-singer/Earlier in the week, director Bryan Singer confirmed that mutant Angel would be appearing in the franchise sequel X-Men: Apocalypse. He did so by releasing a piece of concept art that depicted the character in some sort of cage, possible as part of a circus. The director didn't, however, say who was playing Angel. 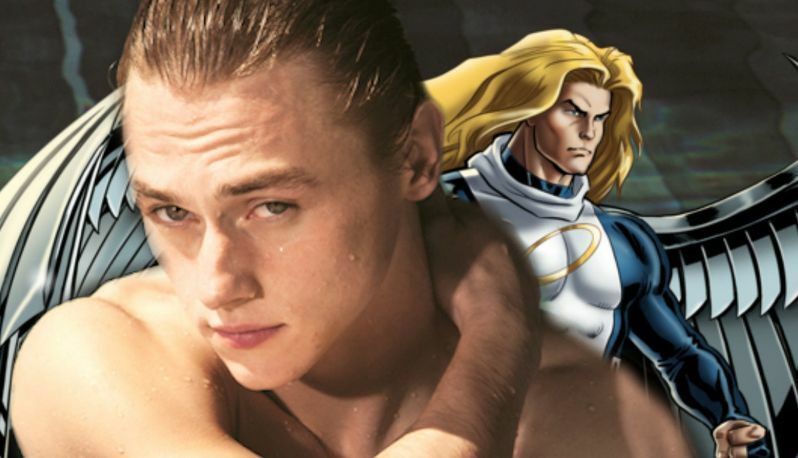 Today, a new report from Jeff Sneider at The Wrap claims that previously announced cast member Ben Hardy is playing the fan-favorite Marvel character. There is no confirmation from 20th Century Fox that this is true. The cast of this comic book adaptation includes Oscar Isaac (Apocalypse), Alexandra Shipp (young Storm), Sophie Turner (young Jean Grey), Tye Sheridan (young Cyclops) and Kodi Smit-McPhee (young Nightcrawler), along with X-Men: First Class star Rose Byrne as Moira McTaggert. X-Men: First Class and X-Men: Days of Future Past stars James McAvoy (Charles Xavier), Michael Fassbender (Erik Lensherr), Jennifer Lawrence (Mystique), Nicholas Hoult (Beast) and Evan Peters (Quicksilver) will all return to reprise their roles, with Hugh Jackman's Wolverine, Halle Berry's old Storm and Channing Tatum's Gambit expected to have cameo appearances, even though Hugh Jackman has teased that Wolverine 3 will be his next and final appearance in the franchise.